Right after the end of CES 2014, Sony has decided to announce two new distinctive Android phones to WoW us all. One is Xperia E1, proud member of WALKMAN family and another is mid-range phablet Xperia T2 Ultra. Both phones have dual-SIM variant for easy call handling. 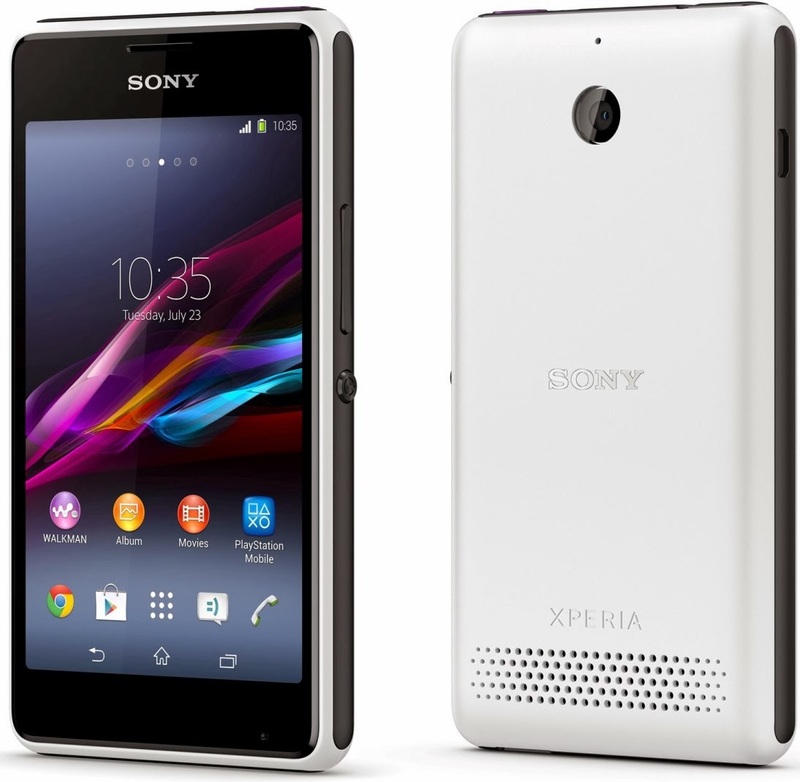 The Xperia E1 is a budget Android phone with focus on the audio playback aspect. Sony claims the loudspeaker on the back is capable of hitting 100dB, which should drown out practically every other sound around you. Another main attraction point of Xperia E1 is the dedicated Walkman button which we haven't seen in a while, shake to shuffle and hardware buttons for controlling audio playback. Other features include a 4.0-inch, 800x480 resolution 2 touch display, dual-core 1.2GHz processor with 512MB of RAM and 4GB of storage space and microSD card slot. The Xperia E1 camera is only 3.2 megapixel with WVGA 30fps video recording and no flash at the back. Android 4.3 Jelly Bean is installed inside Xperia E1 which is rather disappointing. 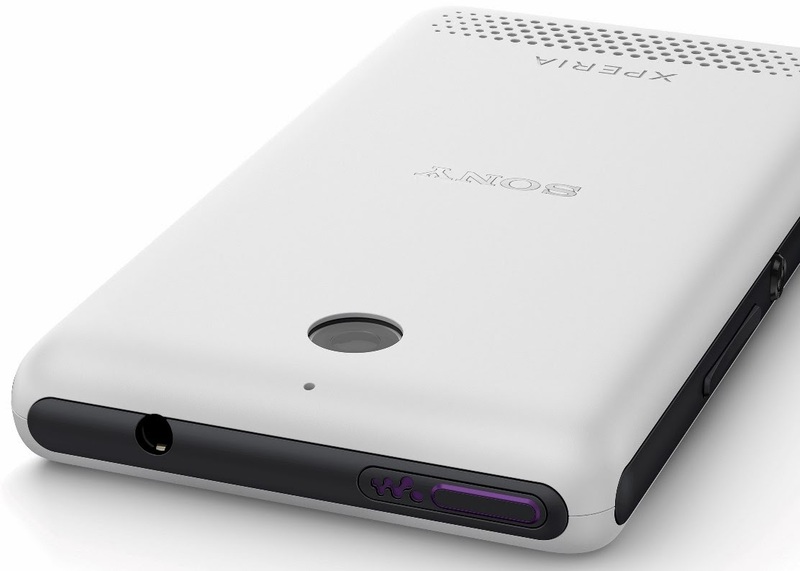 The battery is 1750mAh rated up to 8 hours of 2G/3G talk time. There will be two variants of the E1, with single and dual-SIM options. The phone will be available in black, white and purple. The initial price of Sony Xperia E1 will be around $250, which is my guess at this point. We hope that Sony will release it soon, before MWC is my bet. Read the full PR for details. January 2014, London, UK – Sony Mobile Communications (“Sony Mobile”) today introduces Xperia E1, a new Android smartphone that brings Sony’s leading audio technologies together with expertise in display, design, performance and content to create a smartphone independently recognised as the “best smartphone in its class”1. Xperia E1 is mid-tier smartphone with seriously premium credentials. A solid feel, fast processor and vivid 4” display combined with fast data speeds provides an all round performance that is unrivalled by any other phone in its class, whilst its audio experience and content offer provides real differentiation. Sony’s audio heritage can be clearly heard in Xperia E1 as key technologies come together with the 100Db (with 100Db on your Xperia™ E1, even a motorcycle won’t interrupt your music), speaker to produce a louder, cleaner sound that can hold its own in any environment. With ClearAudio+ mode, instantly enhance your listening experience and optimise the balance of frequencies whilst xLOUD ensures that your tracks sound as good as they should – loud and crystal clear. Sony’s WalkmanTM technology hails from more than 30 years of premium audio experiences and Xperia E1 builds on this. Shake-to-shuffle controls and a dedicated “long press to launch” WalkmanTM button ensure that loading and navigating your tracks couldn’t be easier, whilst the latest generation of Sony’s “WALKMAN” App makes short work of combining on and offline music, creating playlists, as well as playing and sharing tracks. To top it all off, Xperia E1 comes pre-loaded with a 30 day pass for Sony’s Entertainment Network2 music streaming service so that you can explore the full functionality of the “WALKMAN” App and enjoy almost any song, almost anywhere. All of this is controlled from the vivid 4” touchscreen. Drawing on Sony’s background in TV technology, Xperia E1 incorporates expertise from across Sony’s digital display technologies to provide an immersive visual experience. Whether watching movies or viewing photos, the display looks both vibrant and clear. Xperia E1 connects via Bluetooth™ to Sony’s extended eco system so whether it’s through the SBH20 Stereo Bluetooth™ Headset for those who prefer to keep their music to themselves or the Bluetooth™ music receiver BM10 for those who need an even louder experience, Xperia E1 remains at the heart of your connected Sony music experience. Also available is a new dual SIM smartphone, a variant of Xperia E1 which offers a new experience through the incorporation of Sony’s latest generation of dual SIM technology. You can set up both SIM cards independently with custom ring tones and instant, simple switching between SIMs before making calls or sending texts, whilst Sony’s dual SIM management technology means that you can keep both SIMs active, never missing a call, even when talking on one of them. For more information about Sony media apps, please visit: http://www.sonymobile.com/global-en/apps-services/sony-media-apps/.